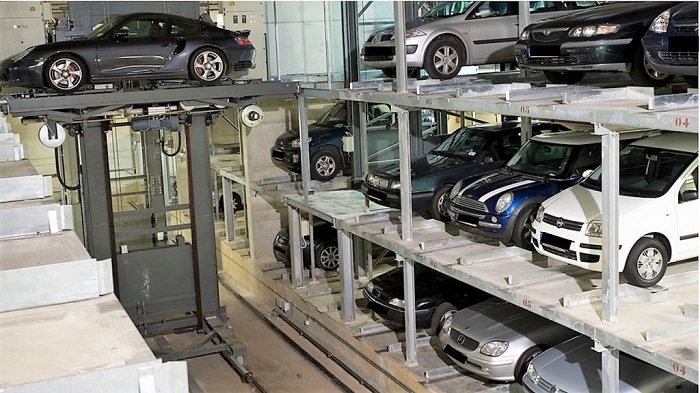 Our parking systems park cars vertically and horizontally with the help of conveyor technology. 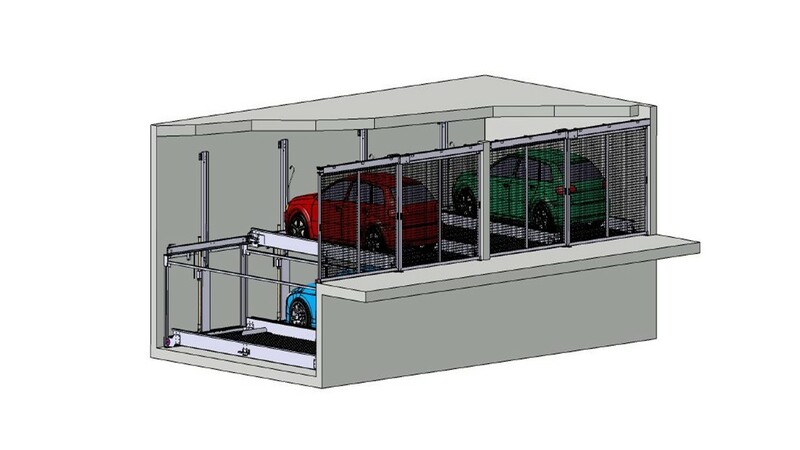 Automatic car parking systems can be separated into semi-automatic and fully automatic systems. While the user of the semi-automatic parking system is inside the system and can control the parking process at the push of a button, fully automatic systems do not provide access to the inside of the parking system. The car is parked by the user on a platform which stores it fully automatically in a high rack storage system. Thanks to these parking systems, the existing parking space can be used optimally: every car finds its perfect parking space. Swiss-Park GmbH offers you both semi- and fully automatic parking systems. 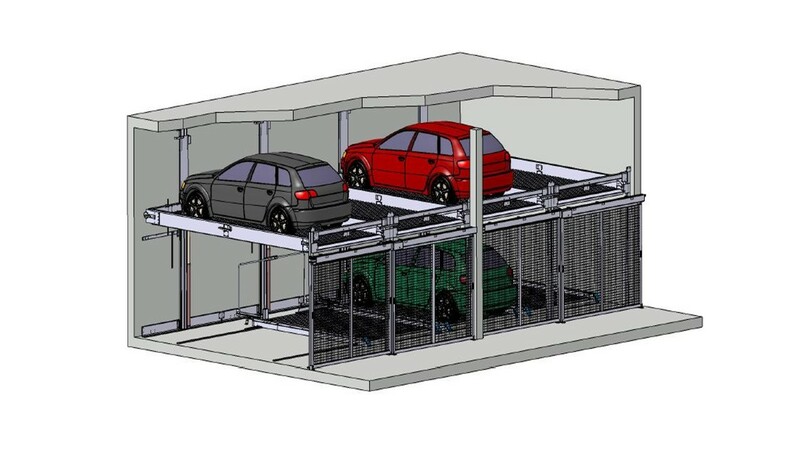 Our MAX series car park systems can accommodate up to three vehicles on top of each other. A total of 5 to 29 cars can be parked here. The maximum parking space load is 2600kg, the maximum parking space width is 270cm. 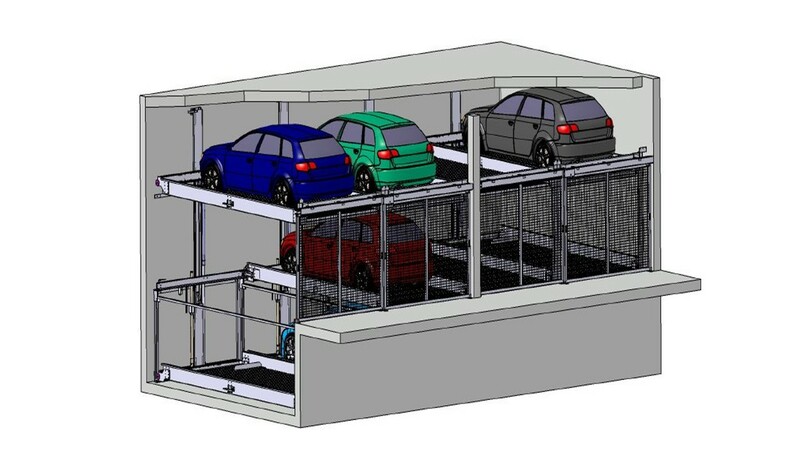 The various parking spaces can be moved vertically and horizontally. The individual cars can be selected independently of each other and transported to the garage exit. The entrance area is secured by gates: these ensure personal safety and only open at the end of the movement process. In addition, the cars are protected against theft and vandalism. 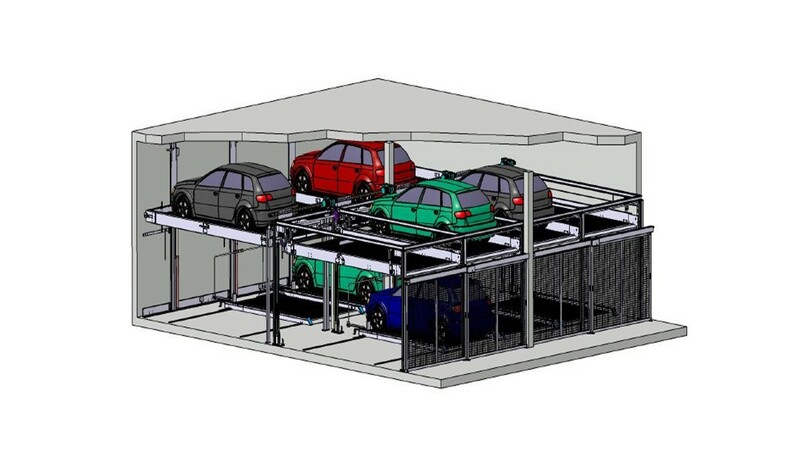 The car parking systems are particularly suitable for residential and commercial buildings, apartment buildings, office buildings, underground garages and hotels.